A 2016 research done by Obumneke Obieche and Valentine Odili in the University of Benin Teaching Hospital (UBTH) has shown that on the average, Nigerians spend a minimum of N4,870. 00 in the treatment of malaria per episode. That is about $13.5. Ironically, less than half of that amount, N1891.00 ($5.2) is what the Nigerian Government in 2018 will spend on the health of each citizen for the entire year, if the 2018 proposed budgetary allocation is eventually passed by the National Assembly. This means for a month, government will support the health of each citizen with an abysmally paltry N157 naira, an amount that cannot buy half loaf of bread. This is what the breakdown of the health allocation of N340.45 billion in the proposed 2018 annual budget of N8.6 trillion suggests, that is 3.9 per cent; an amount the federal government and the Federal Ministry of Health magically hopes will be enough to carter for the myriads of healthcare challenges bedeviling the nation, including malnutrition, incessant outbreaks of diseases, cancers, typhoid fever, malaria, primary healthcare concerns, just to mention a few. 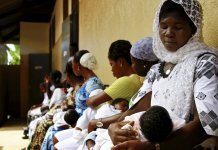 But the same Nigeria, which often prides itself as the big brother to all African countries, hosted Heads of States of member countries of the African Union in April 2001 where they all agreed to allocate at least 15 per cent of their annual budgets to improving their countriesâ€™ health sectors. Unlike the big brother clout which Nigeria used in bringing these countries together to make the now famousâ€˜Abuja Declarationâ€™, where the agreement was made, the country quickly made a volt face and has since then refused to honour an agreement it played host to 17 years ago, resulting in the poor health indices, high mortality rate and reduced life expectancy rate currently experienced in the country. Since the Declaration, the highest health allocation for Nigeria was in 2012 where 5.95 per cent was allotted to the health sector. In 2014, it allocated N216.40 billion to healthcare, representing 4.4 per cent. In 2015, it was N237 billion, which represents 5.5 per cent of the entire budget. Same with 2016 (4.23 per cent) and 2017 (4.16 per cent). Like a habit which has now been considered â€˜normalâ€™, the Nigerian Government, again in 2018 followed the same trend. This time it even reduced the proposed health sector allocation from 4.16 per cent in 2017 to 3.9 per cent in 2018, even though the pile of healthcare issues are growing every year. 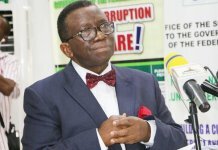 But the World Health Organisation (WHO) says for Nigeria to be seen to prioritise healthcare, it must at least spend a minimum of N6,908 per Nigerian in a year, which when multiplied by 180 million people will amount to N1.2 trillion.The WHO, in its wisdom, also recommended a minimum of 13 per cent of annual budget for health. Between AUâ€™s 15 per cent and WHOâ€™s 13 per cent, the Nigerian Government has tilted towards none. 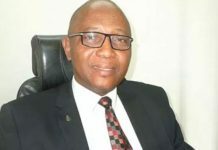 Thankfully, some countries have started raising their health budgetary allocation towards fully keying into the WHO recommendation of 13 per cent or the Abuja Declaration by the African Union of 15 per cent. For instance, Rwanda reportedly devoted 18 per cent of its total 2016 budget to healthcare. Botswana budgeted 17.8 per cent to health; Malawi, 17.1. per cent, Zambia, 16.4 per cent and Burkina Faso, 15.8 per cent. But Nigeria still lags behind in this regard, which has had direct consequences on the funding capacity of the Health Ministry and its affiliated agencies and parastatals, thereby making the fight against poor healthcare very unrealistic. It is also worthy of note that on healthcare alone, the United States spends above $7,000 per citizen, which is about N2. 5 million using a forex rate of N360 to a dollar. Switzerland spends a minimum of $6000 per person, which is about N2.2 million. This, when compared to Nigeriaâ€™s N1,688 per head for a whole year, suggests why the country still grapple with poor health indices and the poor mortality rates for a country that prides itself as the giant of Africa. 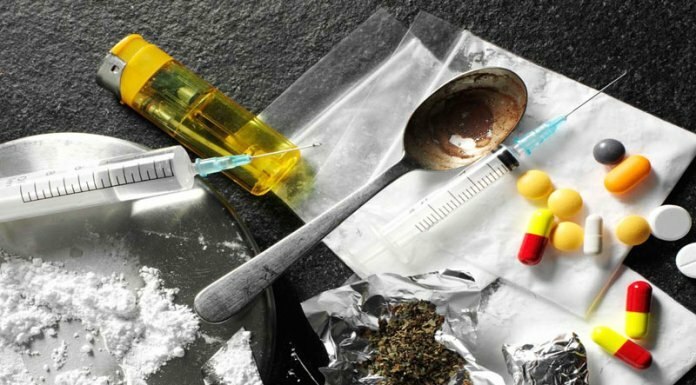 The President, Pharmaceutical Society of Nigeria, Ahmed Yakasai in an earlier interview with THISDAY, said in 2015, the United States allocated 20.7 per cent of its annual budget to health, Germany 19.4 per cent, Iran 17.5 per cent, China 12.6 per cent, while Turkey allocated 10.7 per cent of its entire budget to health. No wonder various statistics show that Nigeria has one of the worst health records in the world. The countryâ€™s average mortality rate is put at 52 years, whereas in some less economically strong nations, even in Africa, their mortality rates rank way better than Nigeriaâ€™s. The poor funding pattern in Nigeria has been the major issue with the health sector, leading to several shameful health indices the world has known us for. Some of which include the fact that Nigeria is the second highest contributor to maternal and child deaths globally. Nigeria is the second highest contributor to malnutrition globally, just second to India. Nigeria also has about the poorest Universal Health Coverage system globally, with accessibility and affordability of healthcare still a big issue, especially for poor citizens. Also, the prevalence of disease outbreaks have increased over the years in the country, with 2017 having the highest so far in the history of Nigeria. This lack of investment in the healthcare has also contributed to brain/patient drain, with 37,000 Nigerian doctors living in the diaspora, with about 30, 000 of them in the United States, and over 5, 000 in the United Kingdom. Only about 40,000 doctors are currently practicing in Nigeria. Patient drain has also increased in folds. Last year alone, over one billion dollars was spent by Nigerians on medical tourism abroad because of lack of confidence in the healthcare system. Ironically, the chief offender among those who spent these monies outside Nigeria is the countryâ€™s president, who obviously has, like millions of Nigerians, lost confidence in the healthcare system. These indices perhaps explain why experts believe the recently proposed allocation for health should be revisited, and increased if the government must be seen to be serious about tackling the several healthcare challenges it is currently facing. Among those who have kicked against the poor health allocation is the National Association of Community Health Practitioners of Nigeria (NACHPN). They have called on the National Assembly to do the needful in increasing the percentage. The association said the allocation for health in the 2018 budget cannot adequately take care of the health of Nigerians. It said while the community health practitioners made the call during a briefing organised by the PACFaH@Scale coalition in Abuja. PACFaH@Scale is a new project implemented by civil society organisations, following the end of PACFaH project this year, and will run from 2017 to 2022. The sum of N340 billion is proposed for the health sector in the 2018 national budget. Its National President, Comrade Akor Okechukwu, said while the overall budget of the country has grown by 92 per cent from N4.49 trillion in 2015 to 8. 61 trillion in 2018, the health budget has grown by only 14 per cent.